Priya has practised litigation for over seven years, with experience in a wide range of commercial and individual disputes at both County Court and High Court level. Priya’s background as a medical doctor has given her an understanding of the challenges facing those involved in the healthcare sector and she has significant experience of advising in GP, Dental and Veterinary disputes, CQC challenges and disputes between local authorities and private healthcare providers. 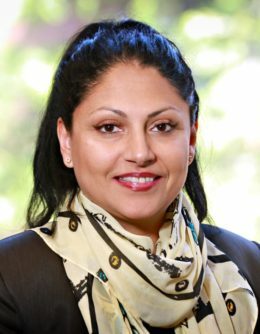 Priya is happy to accept instructions on all types of contractual disputes but has a particular interest in healthcare disputes and disciplinary tribunals of the GMC or GDC. She also has a number of years’ experience in contentious probate matters and has represented clients from all backgrounds in relation to Wills and Estate disputes. Outside these two main areas, Priya accepts instructions from interested parties in inquests and those seeking representation at mediations. Click here to view the Privacy Notice for Priya Tromans.